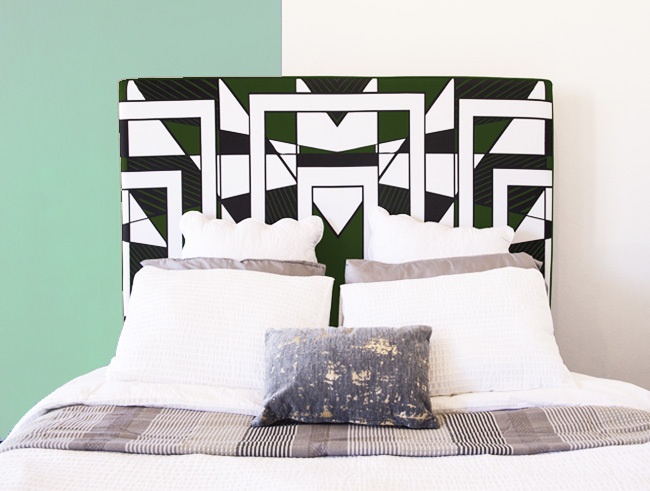 Look at these bold geometric patterns! 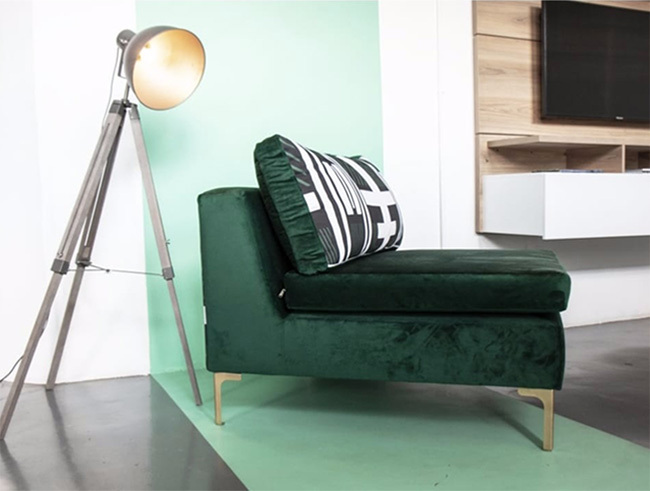 This occasional chair from our Cohesive Roots Collection is covered with soft velvet and has four golden legs for a luxurious finishing touch. 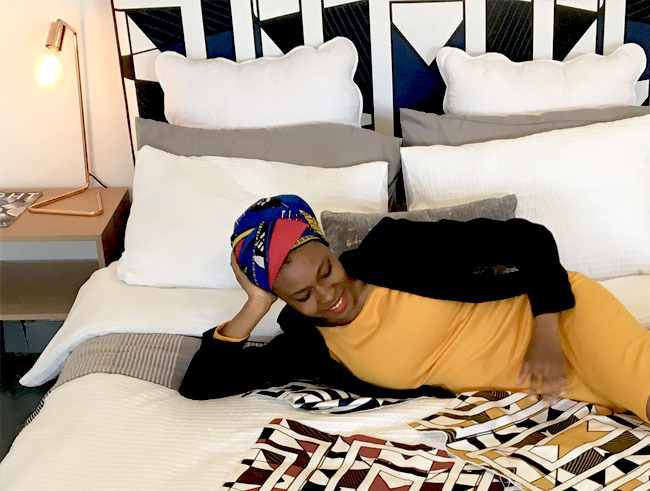 This African inspired patterned platform bed has been perfectly paired with sumptuous velvets. This work of art has resulted in a modern and classic timeless piece. This lavish ottoman with golden legs and distinctly African inspired patterns is sure to bring you comfort and style to any room. Glorinah Mabaso is a young talented fabric designer. Neutral palettes, bold geometric patterns and careful use of clean lines sums up these fabric designs by Glorinah. 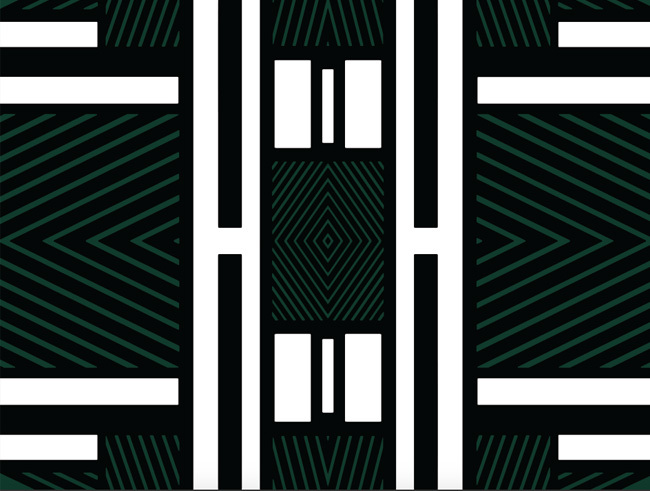 The tribal prints and modern furnishings introduces us to her vision of Africa. Taking us back to her rural roots of Limpopo. 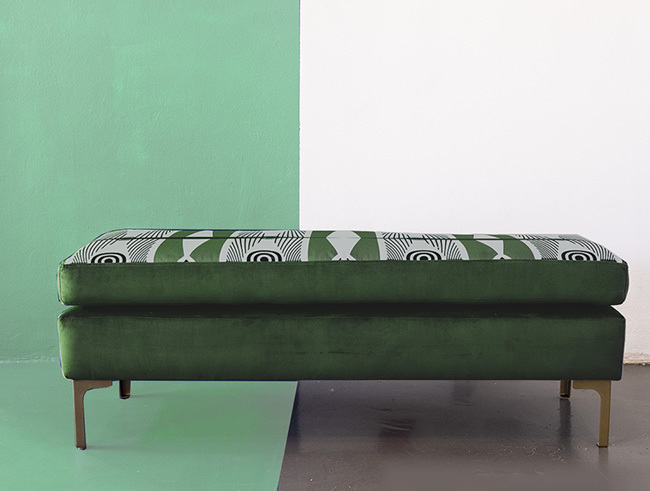 For the Cohesive Roots Collection we combined the best cottons with high quality soft velvets. The bold and unique prints make each piece elegant and a distinctive master piece. Touch it and fall in love!